The Dickies Andover Safety Shoe are black safety shoes have an extensive list of features, which includes metal free protection within the toe-caps & midsoles (for underfoot protection). 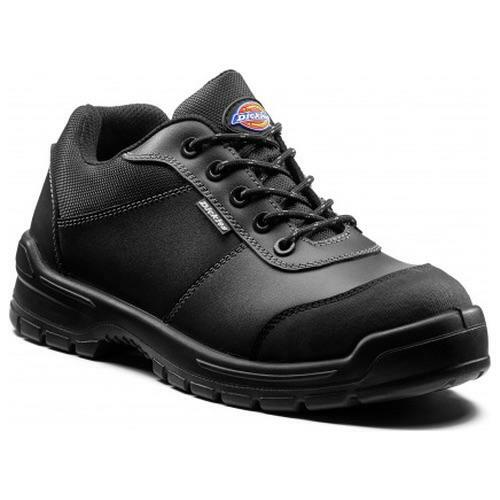 The uppers are a water resistant combination of leather & mesh & the soles are non-marking SRC rated slip resistant. A fantastic new option from the Dickies footwear collection.